THE BEADY EYE ASK’S THE QUESTION; WHAT WILL HAPPEN IN THE UK IF THERE IS A NO DEAL WITH THE EU. They say that if you sing country and western backwards everything comes back to you. Of course, very few of us can sing backwards but if we were able to go forward in history you would wonder how a country that once was a small island ruled a vast empire that created unlimited wealth is now in the process of ending up as a broken small player on the world stage. IS IT BECAUSE ITS WEALTH WAS USED INCORRECTLY. PROTECTING THE RICH WHILE THE WORKING CLASSES LIVED IN SQUALOR. England is now in the midst of a deep struggle over the future of the country. It has all the ingredients in place to create civil unrest in particular in the event of a hard or no deal Brexit. There is no way back to how the UK was governed before 2016. Were Brexit to succeed, it will deliver not independence or an honest democracy but rule by oligarchs and their financial servants, such as the hard-right Brexiteer Jacob Rees-Mogg, under a mendacious exploitation of the rhetoric of sovereignty. It seems unable to grasp that it was not wholly, or even principally, on economic grounds that the country voted to leave. IT VOTED TO LEAVE BECAUSE OVER THE FORTY ODD YEARS IT WAS A MEMBER OF THE EU IT MADE LITTLE ATTEMPT POLITICALLY TO CONTRIBUTE OR TO REFORM THE EU WHICH IS STILL IN ITS INFANCY. The source of the problem is in Britain itself and not the EU. Now each side of the referendum vote is committed to a future unacceptable to the other. ON ONE HAND, WE HAVE THE LEAVERS WHO ADVOCATE THAT THE LEAVE VOTE owed far more to a deep-seated human yearning to recover national identity and independence by taking back sovereign control of borders, laws, money and trade. For this precious prize voters were prepared to risk taking a knock to their standard of living, at least in the short term and perhaps sacrifice the Union as a whole. A passionate rejection of losing independence to the EU is up against a stubborn refusal to embrace Great British isolationism. 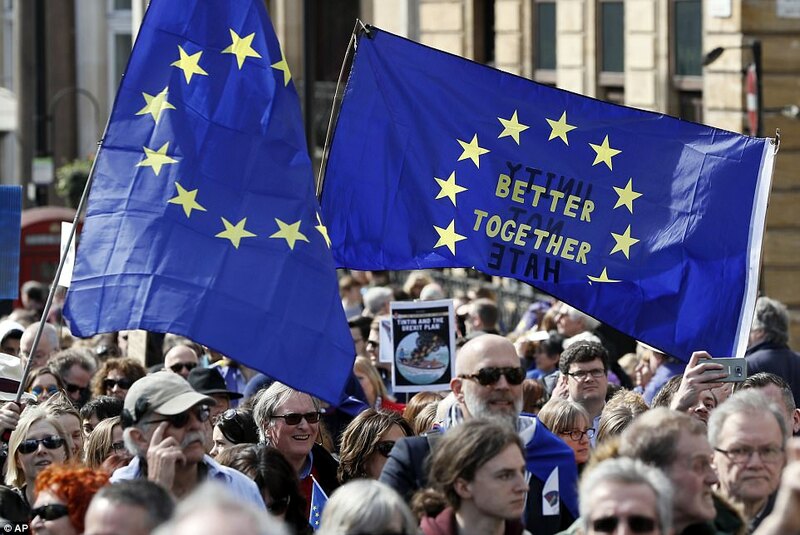 The referendum campaign was not a fight about which side had the best argument on the issues… Instead, the fight was about which of these issues the economic future or immigration was more important. The EU, while not wholly innocent, is not primarily responsible for this dilemma. The changes that are needed can’t be achieved by the existing arrangements nor can they be achieved by argued about terms of trade, business and how to organise economic growth. Fear and precarity are generated by a culture of competition and a form of capitalism that feeds off anxiety, insecurity and debt were created by Mrs Thatcher how sold the family silver, crushed the trade unions, and turned the country into a free market economy of consumers. All leading to decades of social conditioning that has warped the British psyche into thinking that Britain was a place apart and superior to the European Union. We are now looking at a country that had lost an empire and failed to find a role in the EU that will see mass demonstrations, leading to civil unrest, from the thousands of people who will lose their jobs resulted in a kleptocrat British Union with brainless, soulless political elites who know nothing of their own cultures. I say that staying in Europe is essential to repairing the damage. All human comments appreciated. All like comments chucked in the bin.